Google Adsense , the company from which Google makes large amount of revenue, has recently changed its logo.The new logo uses yellow and blue colours. Turkey threatened to ban Google unless it removed links to images of a prosecutor being held at gunpoint. The images were taken last week in a siege at an Istanbul courthouse when two gunmen took the prosecutor hostage. All three died during a rescue attempt. The threatened ban on Google was lifted after the search giant removed links to sites hosting the pictures. Turkish authorities briefly cut off several social networks in a bid to stop images circulating. 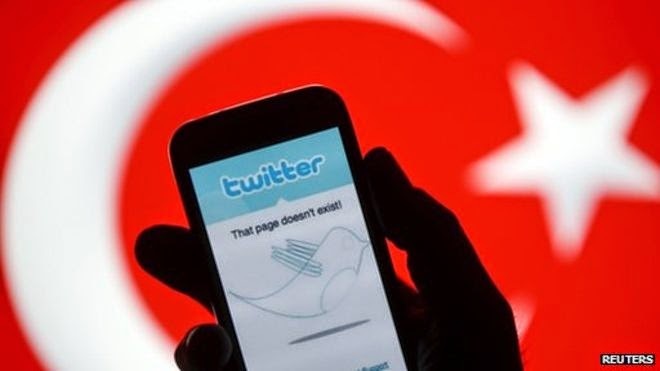 On 6 April, a Turkish court ordered the country's net providers to cut off access to YouTube, Twitter, Facebook and more than 160 other sites that were letting people share the controversial images. They showed prosecutor Mehmet Selim Kiraz with a gun held to his head by a masked attacker. The two gunmen who took Mr Kiraz hostage are thought to be members of the far-left DHKP-C party. Mr Kiraz and the gunmen died in a shoot-out with police during an attempt to end the siege. By late Monday, access to the three big social media sites had been restored after they sought out and removed copies of the image circulating on the network. Subsequently it emerged that the court had issued a second order that threatened Google with a ban unless it removed links in its search index that led to the controversial images. Google has yet to comment officially about the threatened ban or the action it took to avoid access being cut off. Prior to the legal action, the images were circulating widely online and some newspapers printed them alongside articles about the siege. The publicity drew criticism from the Turkish government which said printing and sharing them was tantamount to "propaganda for the armed terrorist organisation". The DHKP-C is considered a terrorist group by Turkey, the European Union and the US. The bans on social networks and threat against Google are just the latest in a series of measures taken by Turkish officials to curb what it sees as subversive use of online media. Many protests have been organised via social media and, prior to local elections in March 2014, blocks were imposed after audio recordings were widely shared that allegedly revealed corruption among senior officials. 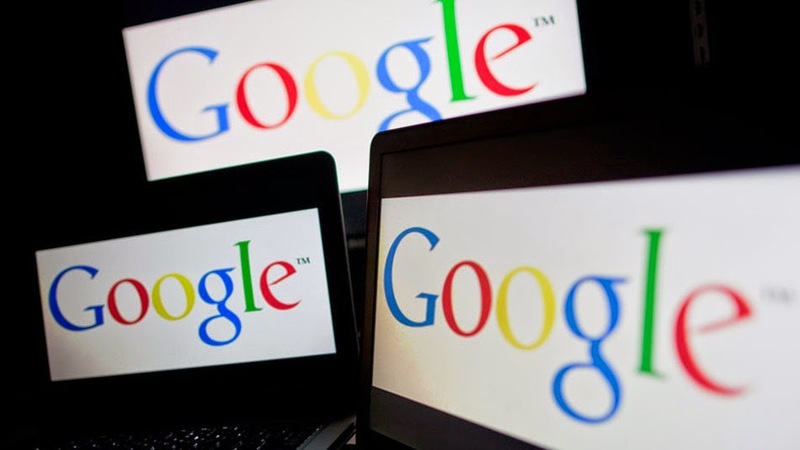 People are silhouetted as they pose with laptops in front of a screen projected with a Google logo, in this picture illustration taken in Zenica October 29, 2014. Plaintiffs in an antitrust lawsuit against Google Inc (GOOGL.O) on Friday withdrew their case accusing the search engine company of harming smartphone buyers by forcing handset makers using Android operating system to make Google's own applications the default option. The class action lawsuit, filed by two smartphone customers in May 2014, was dismissed on Feb. 20 by U.S. District Judge Beth Labson Freeman in San Jose, California. The lawsuit argued that Google requires Android handset manufacturers such as Samsung Electronics Co Ltd (005930.KS) favor Google's apps such as YouTube and restrict competing apps like Microsoft Corp's (MSFT.O) Bing search. This illegally drives smartphone prices higher as rivals cannot compete for the "prime screen real estate" that Google's own apps enjoy, Gary Feitelson and Daniel McKee had alleged. But Freeman said in February that the consumers had failed to show that higher prices stemmed from Google illegally forcing restrictive contracts on handset makers. The plaintiffs were told to amend their claims. Google said on Friday that Android handsets could be used without Google, an argument it had presented in its court filings. "Since Android's introduction, greater competition in smartphones has given consumers more choices at lower prices," Google spokesman Aaron Stein said in an email to Reuters. Lawyers for the plaintiffs did not immediately respond to requests for comments. 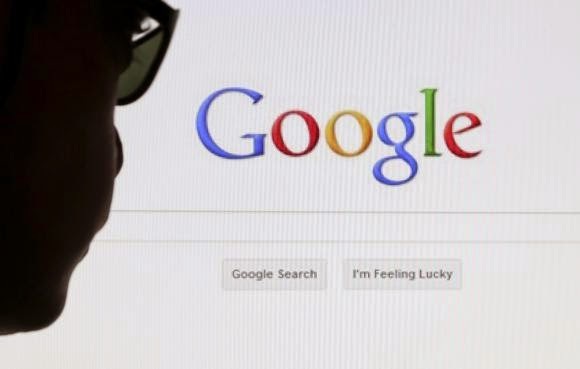 Google also faces antitrust issues in Europe. The European Parliament in November urged antitrust authorities to break up Google and called on the European Commission to consider proposals to unbundle search engines from other commercial services. The case is Feitelson et al v. Google Inc, U.S. District Court, Northern District of California, No. 14-02007. To maintain the power to drive Google's direction, Page and Brin initially accumulated virtually all of the company's class "B'' shares, which have 10 votes for each "A'' share. The duo, though, worried that control would erode as Google issued more "A'' shares to pay for acquisitions and reward other workers. A year ago Thursday, Google split its stock to create a new category of "C'' stock with no voting power that would allow more Google shares to be issued without undercutting Page and Brin. Class "A'' shareholders were outraged, skewering the maneuver as a textbook example of shoddy corporate governance. Google argued there wouldn't be much difference between the price of "C'' and "A'' shares because Page and Brin held majority control anyway with the "B'' shares. To settle a class-action lawsuit challenging the split, Google agreed to compensate "C'' shareholders if the average price of "C'' stock fell more than 1 percent below "A'' shares through the first year of trading. Google disclosed in a recent regulatory filing that it would have owed about $593 million to class C stockholders had the calculations been done on Dec. 31. Based on that estimate, the class C stockholders would receive roughly $1.74 per share in cash or additional stock. Calculating the exact amount that Google Inc. owes will start after the stock market closes Thursday. The Mountain View, California, company has until early July to pay the money. It's something that Google can easily afford, given the company holds $64 billion in cash. And the damage could have been a lot worse: Google would have had to pay $7.5 billion, or about $22 per share, had the first-year spread between "A'' and "C'' shares was 5 percent or more. Shareholders "are getting this cash for giving up their say in effective management," Elson said. "This could be a case of 'penny wise, pound foolish.'" Your neighborhood just got a lot more interesting. Google has released a new feature for Maps that lets you turn any location into a game of Pac-Man — all you have to do is click the new Pac-Man button that resides in the lower left corner of the screen. When you do, whatever section of the world you're looking at will transform into the pixelated arcade classic, complete with four colorful ghosts and the iconic music. 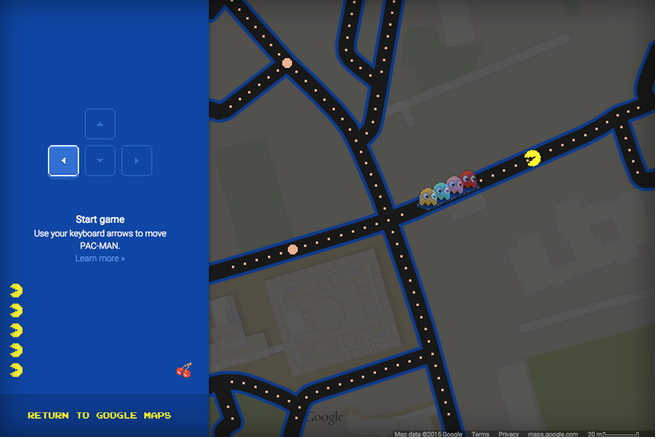 While developers have created similar hacks before, this version of Google Maps Pac-Man comes directly from Google, and even supports mobile devices. This isn't the first time Google has mixed video games and Maps in time for April Fools' Day, as last year the company let you catch Pokemon using its mapping tool. As for Pac-Man, you can play it right now — and be sure to check the support page for tips on the best places to play. It's the worst word, a word only spoken with an apology — or maybe with a proviso. "I hate saying this word, but it's the only way to describe this thing." But it's just a word. And like all good words, it accurately connotes the thing you want to reference. It's more economical than "gigantic phone" and, honestly, more accurate. A phablet is not a phone; it's something else. In fact, there's a certain satisfaction in using it. When a word not only refers to a thing but also itself feels just as unwieldy as that thing, that is a good word. A powerful word, a word that gets things done and isn't worried about how silly it looks doing it. The Nexus 6 is a phablet. It's also the showcase for the newest version of Android, 5.0 Lollipop. As with other Nexus devices, it will likely be one of the only phones to run Android without extra, unwanted software you get from carriers and manufacturers. That's a big deal for some people. Assuming you aren't put off by the size or the $649 off-contract pricing. Assuming that you don't really want just a phone. Because the Nexus 6 isn't a phone. It's a phablet. The Nexus 6 is taller, wider, and thicker than either the iPhone 6 Plus or the Samsung Galaxy Note 4. That's in large part because the Nexus 6 has a larger screen, at about 6 inches diagonal. It's also pretty thick, sloping from a thinner edge around the bottom and sides to 10mm near the top. 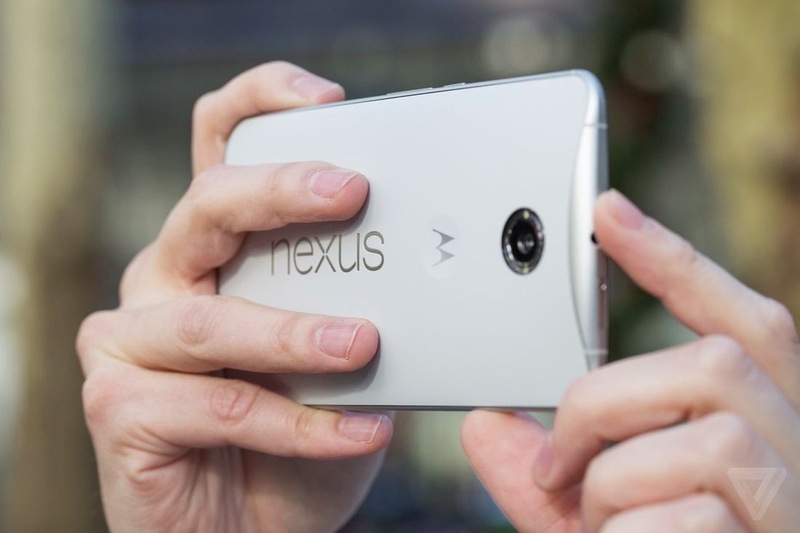 The Nexus 6 is essentially a blown-up version of the Moto X, and so it shares almost all of its design language. I'm not sure I agree with that design choice. Both phones have a gentle curve on the back and a nice "dimple" in the center where you can rest your finger. The two combine to make a device that is designed more to nestle in your hands than feel slim in your pocket. There's something admirable about Motorola's clear and consistent design vision for its devices, but at this size it starts to break down. I can't help but wonder whether there's wasted space inside it. "It feels great in two hands, not so much in one pocket"
Unlike the Moto X, the back on the Nexus 6 is plastic, I have the white model that is probably best described as having an "eggshell" kind of feel and color. It's smooth without being glossy and so far has resisted both scratches and discoloration. The power and volume buttons are thankfully located in a humane position on the right of the device, reachable with your thumb. It looks a little weird, and I still hit the wrong button sometimes despite the differentiated etching on the power button, but it works. Just so I'm super clear: the only time you can really use this phablet one-handed is when you're just scrolling through a web page or an ebook with your thumb. For everything else, accept that it's a phablet and you're going to use two hands. Unlike its smaller sibling, the Moto X, the Nexus 6 has two front-facing speakers. They are loud. Once I accidentally put the phone up to my ear when Google Now was about to speak in its Outside Voice, and I damn near damaged my eardrum. Still, these won't replace your Jambox: at high volumes it can begin to sound a little tinny. But if the only phone that beats you in terms of sound quality and volume is the HTC One M8, you're in good company. Let's get back to the screen, whose size is really the whole reason for this phone's existence. The resolution on the 6-inch screen is 1440 x 2560, which at 493ppi sits between the iPhone 6 Plus and the Note 4 in terms of pixel density. But whatever, the pixels are tiny and even if you go hunting for them, you won't find them. Crazy world we live in, but this kind of "Retina Plus" pixel density is table stakes now. Living with a giant-screened phablet takes some getting used to, but it’s nearly impossible to go back once you do. So many of the foibles of smartphones become lessened or eliminated simply because there’s simultaneously more space on the screen and many of those things are bigger and easier to tap. It’s easier to show stuff on your phone to other people, it’s easier to turn it into a reading and movie-watching gadget, and it’s way easier to type on. The screen is very good, but it also comes with its own peculiar set of tradeoffs. Tuning the color on AMOLED screens to match what most people actually want is notoriously hard, and, to its credit, Google has landed on settings that don't oversaturate colors or look too dim. Nitpickers will notice a very subtle color shift when you tilt the phone left to right, especially on whites. If you’re a nitpicker, there’s your barely-visible-to-the-eye nit. But that's a tradeoff I'm willing to make to get a new feature in Lollipop called "Ambient Display" that pops up your notifications as they come in without powering on the entire screen. It’s essentially an extension of what Motorola did before, but on stock Android it just shows your entire lockscreen - albeit in black and white, which saves power. Battery life is good by phone standards, but maybe only fair by phablet standards. The Nexus 6 has a 3220 mAh battery, which in my week or so with the device initially lasted a solid day and a half. Very heavy use did make it die out after 14 hours or so, while lighter use let me push it to two days. I'd say that battery life seems a little inconsistent, but really I can’t judge yet even after a week of using it. For one thing, the software may not be final, but the real problem is that I’m just seeing completely different results day by day. The bottom line, though, is that you shouldn’t have a problem lasting through an entire day — for a phablet, I’d like to see that the number consistently reach into the next morning. There is a battery saver mode (finally) built into Android now, which limits some features and turns off background data. It also turns the menu and button bars an aggressive shade of orange. If you happen to have the included fast charger (or anything that can pump out more voltage than a standard USB charger), you can add a few hours of charge in just 15 minutes. "All day battery, but maybe not much more"
My initial impressions of the camera were that it was the best that's ever shipped on a Nexus device. After using it quite a bit more, I can unequivocally say that's true. But that's also not saying very much, since past Nexus cameras have been consistently bad. This 13-megapixel sensor seems like it's identical to the one found in the 2014 Moto X, but with stabilization. "The camera app feels a little spartan"
In good light, it's able to get shots decently fast and the results are sharp. 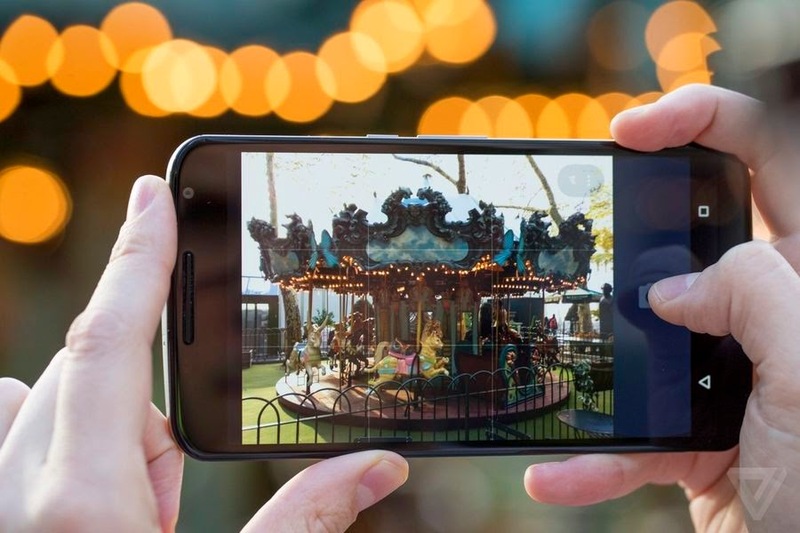 But even with OIS, low light can be a little bit of a challenge — though again, even a thoroughly average phone camera is 2014 is a win if you're grading on the Nexus curve. It doesn't hold up to the best that Samsung and Apple can do, but it shouldn’t cost you many shots either. One thing I find curious is the Google Camera software, which lacks features like slow motion video, time lapse, and all those built-in image effects. Theoretically, the new APIs that Lollipop gives to developers will mean that a third-party camera app will be able to fill in those gaps, but it would still be better just to have them in the default app. Android 5.0 Lollipop is the biggest change to the operating system in years, thanks to a complete visual overhaul and a giant pile of little features. It’s a lot like what Apple did to iOS last year with iOS 7. Lollipop is based on a concept called "Material Design", which imagines a world of magic paper underneath your screen. It consists of cards, textures, and buttons that will be familiar to anybody who has used Google Now — plus an incredibly bright and vibrant set of colors that are a wild departure for Android. You could call it skeuomorphism if you really wanted to, but the reality being imitated here is more Oz than Kansas. Essentially, there are no more panes of virtual shadowed glass and neon outlines in Android anymore. Apps (and even browser tabs) become giant cards in an overview, the apps button on the home screen grows out to become a sheet of paper on which your programs sit, and compose buttons float around on the bottom of the screen. "The improved notifications alone make Lollipop a good update"
Notifications appear properly on the lock screen now, where you can directly interact with them. There's a deep (and convoluted) set of options for altering which notifications are allowed and where, too, if you're worried about privacy. Google added a new "Priority mode," which functions basically like a Do Not Disturb mode with granular controls over what apps can bug you during meetings — and there's a default time-out you can set so you won't miss stuff later in the day. But for hardware that's so clearly more phablet than phone, the software sometimes feels like it didn't get the memo. Android can work great on a large screen, but it helps if there are accommodations for all the extra real estate. Yet on the Nexus 6, the home screen doesn't rotate, for a start, and core apps like Gmail don't offer a two-pane view in landscape. I'm not asking for tricks to make one-handed use better (though they wouldn't hurt), but I am asking that Android do more than just give me a bigger view with more stuff in it. Android Lollipop couldn’t ask for a better showcase than the Nexus 6. I do wish that the software did a better job helping me manage a device this large, but the fundamental improvements to the already excellent notification system have made me more productive already. Assuming Google can work out these first-release bugs, Lollipop itself could be fast enough and pretty enough to spur Android developers to finally pay more attention to design in their apps. Whether the Nexus 6 will be more than a showcase is an open question. Nexus phones always seem to have some sort of weird sales strategy that limits their adoption. The last couple of phones have been incredibly inexpensive, but lacked carrier support. The Nexus 6 flips that script: it has the support of the big carriers in the US, but it’s no longer a cheap phone at $649 off contract. 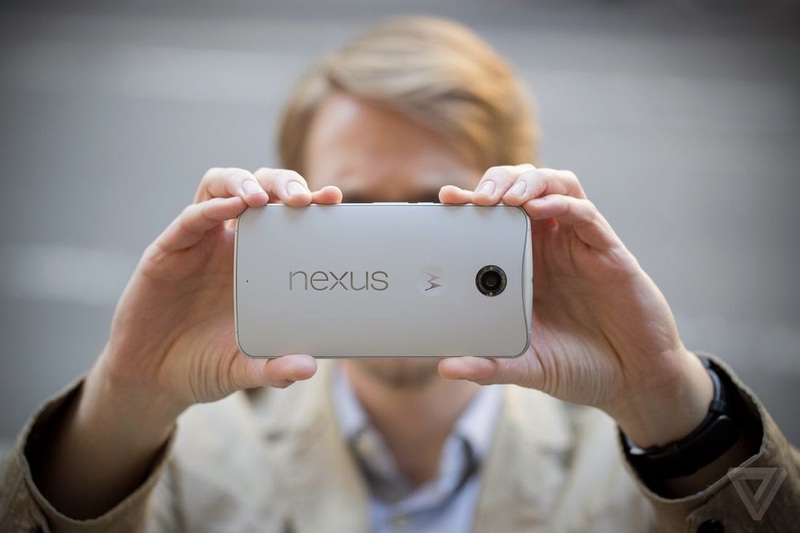 So the story of the Nexus may remain unchanged: popular with enthusiasts, but a curiosity for everybody else. If nothing else, that carrier support means that you can check out the size for yourself in a store. If you do, don’t be shy about really hanging out with the Nexus 6 for as long as possible. Using the Nexus 6 is absolutely awkward until, strangely, it's not. When I show this phablet to people, I get the same glassy-eyed "I don’t need this" look that I used to get when I showed them my big, honking pre-iPhone smartphone all those years ago. They all converted. You just might do the same. Depending on how you count them, the Nexus Player is either Google's fourth or fifth attempt at conquering the living room. First there was the Google TV. That flopped. Then the Nexus Q. That flopped so hard it didn't even launch. Then there was the second-generation Google TV — also a failure. Finally, last year, Google launched the Chromecast. At $35, the device was a sleeper hit, especially for cord cutters. Perhaps emboldened by the success of the Chromecast, Google has decided to try for broader living-room aspirations with the Nexus Player, the first set-top box running Android TV. So what is the Nexus Player? It's a Chromecast crossed with a Fire TV. That is, it's a set-top box crossed with a Chromecast dongle that also plays Android games. The first thing you'll notice about the Nexus Player is that the user interface looks terrific. It's slick and fully optimized for a TV. It's a significant upgrade over Google's previous Google TV efforts. 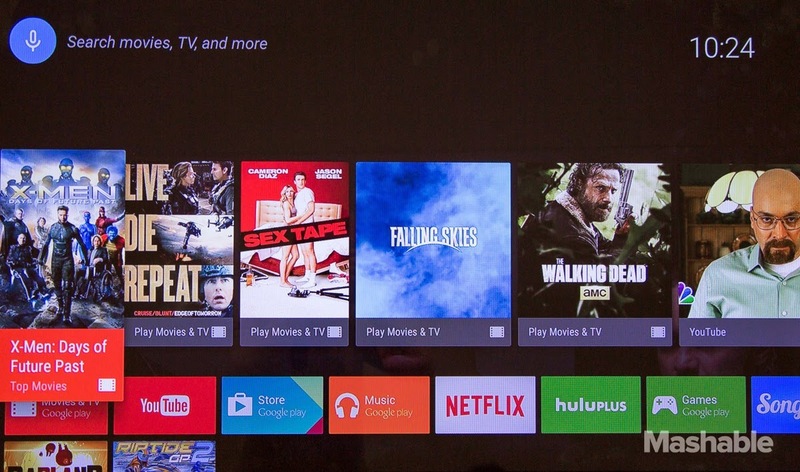 The Android TV main screen. The main dashboard shows off content blocks and recommendations. This includes programs in your Google Play library, YouTube recommendations and programs available in other apps. Below the content block are icons that provide easy access to direct apps for services, including Google Play Movies & TV, Netflix, Hulu Plus and Songza. You can also quickly access games compatible with the included remote or the optional $40 wireless game controller. You can install additional apps on the device, though for now the selection is pretty limited. As with the Fire TV, Google has integrated voice search functionality into the Nexus Player. To search, press the microphone button on the remote and speak. You can say phrases such as "Watch Scandal," which will bring up the show Scandal inside Google Play. Google tried the Nexus Q and the Google TV, now it's trying its set-top box luck with Android TV. The Nexus Player is the first device running Android TV to hit the market. You can also ask for more esoteric requests, such as "Oscar nominated films from 2013" or "movies with Jennifer Lawrence." You can even ask Google Now-style question, such as "When did Friends premiere?" The voice search is solid but it's held back by one massive limitation: it only surfaces content from the Google Play and YouTube ecosystems. So if I say, "Watch Scandal," my Hulu and Netflix results don't come up. On the Fire TV, Amazon has a whole voice search API that it is slowly but surely integrating with other third-party services. The feature is still a gimmick, but at least with Amazon, it works with more than one content source. As a result, the search features are really only good for users that want to browse content to purchase from Google Play. When it comes to Music playback, you can listen to tracks already in your Google Music library, but you can't actually buy new songs or albums from the Nexus Player itself. That's frustrating because otherwise, the Google Music playback experience is topnotch. Netflix and Hulu Plus run identically on the Nexus Player as they do on the Fire TV. That's because it's just the Android versions of those apps upscaled to TV resolution. The experience is quite good, but be aware that it isn't going to be as beautifully optimized for a 10-foot experience as Google's own apps. I still tend to prefer the Netflix and Hulu experience on Roku. The third-party library of apps available for the Nexus Player at the time of this writing, is fairly anemic. As a media player, you'll still get access to significantly more content on a set-top box from Amazon or Roku. Roku, we should note, just added Google Play Movies & TV support, making it the broadest content ecosystem available. This isn't to say the Nexus Player and Android TV ecosystems won't expand; since the devices is based on Android, it means that in theory any app that can run on an Android tablet should be available on the Nexus Player. It's just a matter of actually getting those apps installed. Google's other big feature with the Nexus Player are games. Right now, there are only a limited selection of games that actually work on the device, either with the included remote or the optional $39.99 wireless controller. Game quality is quite good. We played Badland and Riptide GP2 and both played great. Riptide GP2 has near-console level graphics and frame rates never seemed off. The game controller itself looks and feels like a cheap Xbox 360 knock-off. The controls work fine, but don't expect to get the kind of precise timing you'd expect on a console. The optional game controller for the Nexus Player. Still, for mobile games on the TV, they are just fine. Lots of companies are trying to bring tablet/smartphone games to the TV and lots of companies are failing at their efforts. That's mostly because the reality is, it's tough to take a game optimized for touch and then convert it to a 10-foot experience. Sometimes that conversion works out well, but other times, it doesn't. For us, gaming on the Nexus Player is fine, but it shouldn't be the reason you buy this device. The Nexus Player also acts as a full-functioning Chromecast. That's important because you can cast apps from your iPhone, Android or your Chrome browser on Mac or Windows directly to the device. I used the Watch ABC app for iOS to stream live TV directly to the Nexus Player, and it worked great. Likewise, content from other services such as HBO Go is available, too. I couldn't help but wish that some of these apps were also built into the experience. On a Chromecast, you can get over the lack of included apps because of its headless design. But since the Nexus Player does have an interface, it's frustrating to be so limited by third-party playback apps. Moreover, casting support is no longer a unique feature for these kind of set-top boxes. The Roku supports DIAL (the Chromecast's stream interface) for a number of apps, third-party apps are available for the Fire TV that mimic the Chromecast and Apple TV has AirPlay. Wireless casting is a great feature for any device, but again, in late 2014, this feels like a basic requirement — not something that gives the Nexus Player an edge. At $99, the Nexus Player isn't a bad product. It does exactly what it says it should. If Google had launched the Nexus Player earlier — say, even 12 months ago — I would probably be more inclined to recommend the device. The larger problem is that it's not the only device like this out there. For $99, you can get an Apple TV, a Roku 3 or the similar — and superior — Fire TV. Originally, my recommendation was that the Nexus Player was really only worth investigating for someone who buys the majority of their content from Google Play. With Roku's Google Play support, however, I need to amend that to say "and lives primarily in the Android ecosystem who also wants to play games." If that's the case, it's a fine set-top box. Everyone else can skip it. The Nexus Player is a decent set-top box but it doesn't have any notable features that make it better than the more robust — and identically priced — Roku 3 or Amazon Fire TV. Google Inc is preparing to test new technology that may provide the foundation for a wireless version of its high-speed "Fiber" Internet service, according to telecommunication experts who scrutinized the company's regulatory filings. In a public but little-noticed application with the U.S. Federal Communications Commission on Monday, Google asked the agency for permission to conduct tests in California across different wireless spectrums, including a rarely-used millimeter-wave frequency capable of transmitting large amounts of data. It is unclear from the heavily redacted filing what exactly Google intends to do, but it does signal the Internet giant's broader ambition of controlling Internet connectivity. The technology it seeks to test could form the basis of a wireless connection that can be broadcast to homes, obviating the need for an actual ground cable or fiber connection, experts say. By beaming Internet services directly into homes, Google would open a new path now thoroughly dominated by Verizon, AT&T, Comcast and other entrenched cable and broadband providers. It could potentially offer a quicker and cheaper way to deliver high-speed Internet service, a potential threat to the cable-telecoms oligopoly, experts said. “From a radio standpoint it’s the closest thing to fiber there is,” said Stephen Crowley, a wireless engineer and consultant who monitors FCC filings, noting that millimeter frequencies can transmit data over short distances at speeds of several gigabits per second. “You could look at it as a possible wireless extension of their Google Fiber wireless network, as a way to more economically serve homes. Put up a pole in a neighborhood, instead of having to run fiber to each home,” said Crowley. Craig Barratt, the head of the Google Access and Energy division leading the effort to offer high-speed fiber networks in Kansas City and other locations, signed off as the authorized person submitting Google's FCC application. The world’s No.1 Internet search engine has expanded into providing consumers with services such as Internet access. The company said it wants to roll out its high-speed Internet service to more than 30 U.S. cities, and in 2013 it struck a deal to provide free wireless Internet access to 7,000 Starbucks cafes across America. 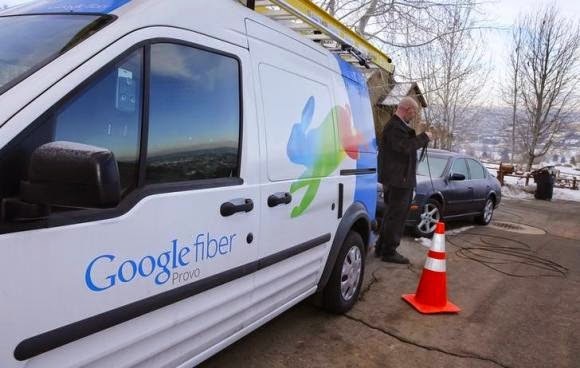 Earlier this year, technology news website The Information reported that Google was exploring ways to offer a full-fledged wireless service, with voice and Internet access, in markets where the company already offers its Fiber service. The purpose of the test is so that Google can “expeditiously test radios in a way that is likely to contribute to the development, extension, expansion or utilization of the radio art,” Google stated cryptically in one of the filings. Google declined to comment on the FCC filing. Wireless experts noted that the tests could simply be basic research that does not ultimately lead to new products or services. In the past, Google has submitted applications with the FCC to test wireless communications. The latest test, which Google hopes to begin on Nov. 13, will include three sites in the San Francisco Bay Area, including one in San Mateo county and two locations a half-mile apart which appear to be on Google’s Mountain View, California campus. Google said the effort will use radio transmitters operating in the 5.8 GHz frequency, the 24.2 GHz frequency and in the millimeter wave bands of 71-76 GHz and 81-86 GHz, according to the application. Millimeter wave frequencies work best over short distances, such as a few city blocks, and require a direct line-of-sight connection to a receiver. But multiple such devices placed next to each other, atop buildings could provide an alternative to in-the-ground fiber cables used for shuttling data throughout a city as well as for delivering Internet access directly to residences, theorized several wireless experts. “This could be anything from something relatively small scale, like a way to supplement their existing fiber system to something like how to put a wireless cloud around your city that leverages your fiber backbone,” said Harold Feld, a senior vice president at Public Knowledge, a non-profit that focuses on broadband access and competition issues and which receives funding from tech companies including Google. The FCC is scheduled to hold a meeting on Friday about the use of wireless spectrum above 24 GHz for mobile services, including ways the agency can facilitate the development and deployment of technology using such frequencies. Google noted that the tests are for narrow-bandwidth transmissions. According to Crowley, the application suggests that Google will not be transmitting data over the networks, but sending simple pings between locations to gauge how the signals travel over distances and in different terrains. Google appears to be trying to get ahead of the competition in understanding the potential to use the millimeter frequencies now being discussed by the FCC, said Public Knowledge's Feld. “If they can pull it off, they will have a potentially very innovative next-generation delivery system,” he said. 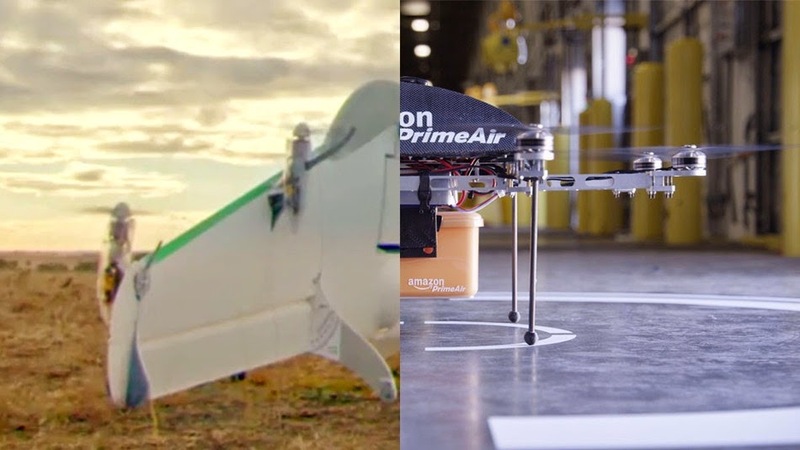 The drones for Google's Project Wing differ dramatically from the ones Amazon is experimenting with for Prime Air. Move over, Amazon. Google has just entered the commercial drone arms race with Project Wing, an until-now secret program to develop "self-flying vehicles" to deliver small packages, similar to Amazon's Prime Air. Both programs are still years away from coming to fruition, with prototype drones — or, more accurately, unmanned aerial vehicles (UAVs) — completing only the most basic of test flights. However, the drones have been in development for a while, with notably different approaches to drone design. Google has been working on drones for two years; Amazon announced its program in December of last year. For Project Wing, Google (actually Google X, the company's division in charge of "moonshot" projects) eventually settled on a tail-sitting aircraft design, which combines elements of a helicopter and a fixed-wing airplane. Rotors are mounted toward the front of the plane, which lift the plane from the ground since it sits with its tail pointed downward. Once it's in the air, it can reorient itself to fly like a plane, which lets it fly faster than a typical copter design. Google says the aircraft shown in its test video is one of many iterations and shouldn't be taken as the final design for Project Wing. Nevertheless, Google may have settled on the ideal design for drone delivery: a craft that can take off and land slowly and safely, has the ability to hover so it can take its time when unloading its cargo, and can also fly like a plane so it can travel large distances quickly and efficiently. when it transitions into hover, we're able to lower the package. when it transitions into hover, we're able to lower the package. But this is only one of vehicles we're testing." The ability to stop and hover is in no way unique to Project Wing, but it is the key feature for delivering packages, and it's why most drones feature a helicopter or ducted-fan design. After all, most customers won't have room for a runway for a drone to land on, and parachuting packages from above isn't really an option (Google tried it and found that wind affected precise targeting too much, according to The Atlantic, which first reported on Project Wing on Thursday). In Amazon's teaser video for Prime Air, a drone first lands in front of a house, drops its payload, then flies off a few seconds later. It's very simple, although some people criticized the depiction, saying that anything with rotating blades will be tempting to kids and curious onlookers, which represents a safety risk. Google apparently agrees, which is why it decided to add a winch to the drone to perform the actual delivery. The tail-sitting design allows the drone to hover over the delivery target, then drop the item, attached to a fishing line, letting gravity pull it down at 10 meters per second (m/s). When it gets close to the ground, it slows things down to 2 m/s. Once it gets to Earth, it releases the package and retracts the cable, leaving the drone high in the air and away from any potentially meddling hands. Conversely, Amazon's drop-ship approach isn't inherently unsafe, but it does introduce a wild card that Project Wing doesn't. Google's drone would also theoretically have a longer range than Amazon's Prime Air drone, which uses a typical octocopter design. Amazon CEO Jeff Bezos has said the current range of the company's test drones is 10 miles, although that program is in the early stages as well. Google declined to give any kind of range spec for the Project Wing drones, but a spokesperson did say one of the reasons it picked a tail-sitting design was the increased range. "Amazon's model was a 10-mile radius — five pounds within 30 minutes — which they estimate that is about 80% of the things they deliver," said Mike Toscano, CEO of the Association of Unmanned Vehicle Systems International. "Now you've got Google saying, 'I'm going to places like the Outback, where you've got 100 miles to deliver something, where it's very costly to deliver a five-pound package.' This is the way to get those long distances." If tail-sitting aircraft are so beneficial, why hasn't the Air Force — or anyone else, for that matter — deployed one? They have, although almost all designs never flew past the experimental prototype phase. The main reason tail-sitters never caught on is because the continual changes in orientation are hard on the pilot, who could be facing forward one minute and upward the next. "The reason you couldn't have that technology before is because the human being couldn't handle the vertigo," Toscano said. "The electronics can handle 9-10 G's; a human being can only handle 3-5. These are compelling reasons to go with automated vehicles or self-driving cars. From an engineering standpoint, you eliminate the weak link, and that's us." If your pilot's a computer, though, that's not a problem. If your pilot's a computer, though, that's not a problem. Drones don't suffer from spatial disorientation or brain trauma if they maneuver in ways that would damage a flesh-and-blood pilot. And the craft doesn't require the complexities of rotating sections or jet engines, like other plane designs for vertical takeoff and landing (VToL) that are in use. With Project Wing, Google has taken an aircraft design from history's junk pile and turned it into a template for the future of drone delivery. We're still years away from getting backscratchers flown right to our front doors, but the armada of flying robots transporting them may end up looking more unusual than we ever thought. The top secret experiments at Google's skunkworks operation, known as Google X, now reportedly include a strange new approach to display technology. Google's experimental displays will come in all shapes and sizes and fit together in modular pieces, much like a set of Lego blocks, sources told The Wall Street Journal. Once connected to each other, the smaller screens will have the ability to form one seamless, larger display. The effort is said to be led by former MIT professor, Mary Lou Jepsen, Google X's head of display research, who also founded Pixel Qi, a company focused on developing low-power mobile screens you can read in direct sunlight. Little else is known about the modular screens at this point, but one source with knowledge of the project did offer a comment as to its development. " The big challenge is to electronically, and through software, do the stitching between the seams," the source told the Journal. Given the mixed responses to Google's Nexus smartphones and Chrome notebooks, the notion of more hardware from Google isn't necessarily packed with promise. Still, if you imagine a wide array of modular smart screens distributed throughout a hotel or airport, allowing you to connect your small, portable screen to larger stationary ones, all equipped with Google Now, suddenly the modular screen idea gets a lot more interesting. Despite the success of Google's overall business and its ambitious approach to innovation, the Google X lab pedigree is no guarantee of mainstream traction for any of its new creations. Google X projects Google Glass and the company's self-driving car have both garnered a good deal of attention, but neither has managed to gain any significant foothold as a commercial venture. However, a recent Google X creation, Project Wing, an autonomous, drone-powered delivery system, indicates that the company's research remains aggressive in its approach toward innovation — regardless of commercial considerations. A Google spokesperson declined to comment when contacted by Mashable for comment on the report. - Google Inc is buying JetPac Inc, the startup that designs social travel applications disclosed on its website on Friday, without providing details. San Francisco-based JetPac has created a mobile application that uses pictures from various social networking sites to create city guides. Earlier this year, Google bought Nest Labs Inc, which makes smart thermostat and smoke alarms, for $3.2 billion, making the deal one of the largest in Google's history. Google was not available for comment outside of normal business hours. 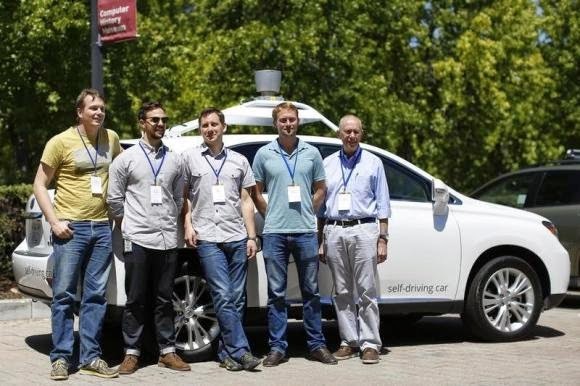 Chris Urmson, (L) director of Google's Self-Driving Car Project, and team members Brian Torcellini, Dmitri Dolgov, Andrew Chatham, and Ron Medford (R), who is director of safety for the project, pose for a photograph in front of a self-driving car at the Computer History Museum after a presentation in Mountain View, California May 13, 2014. The car stopped at stop signs. It glided around curves. It didn't lurch or jolt. The most remarkable thing about the drive was that it was utterly unremarkable. This isn't damning with faint praise. It's actually high praise for the car in question: Google Inc.'s driverless car. Most automotive test drives (of which I've done dozens while covering the car industry for nearly 30 years) are altogether different. There's a high-horsepower car. A high-testosterone automotive engineer. And a high-speed race around a test track by a boy-racer journalist eager to prove that, with just a few more breaks, he really could have been, you know, a NASCAR driver. This test drive, in contrast, took place on the placid streets of Mountain View, the Silicon Valley town that houses Google's headquarters. The engineers on hand weren't high-powered "car guys" but soft-spoken Alpha Geeks of the sort that have emerged as the Valley's dominant species. And there wasn't any speeding even though, ironically, Google's engineers have determined that speeding actually is safer than going the speed limit in some circumstances. "Thousands and thousands of people are killed in car accidents every year," said Dmitri Dolgov, the project's boyish Russian-born lead software engineer, who now is a U.S. citizen, describing his sense of mission. "This could change that." Dolgov, who's 36 years old, confesses that he drives a Subaru instead of a high-horsepower beast. Not once during an hour-long conversation did he utter the words "performance," "horsepower," or "zero-to-60," which are mantras at every other new-car test drive. Instead Dolgov repeatedly invoked "autonomy," the techie term for cars capable of driving themselves. Sergey Brin and devoted to "moon shot" projects by the Internet company, as Dolgov puts it, that might take years, if ever, to bear fruit. So if there's a business plan for the driverless car, Google isn't disclosing it. Dolgov, who recently "drove" one of his autonomous creations the 450 miles (725 km) or so from Silicon Valley to Tahoe and back for a short holiday, simply says his mission is to perfect the technology, after which the business model will fall into place. Judging from my non-eventful autonomous trek through Mountain View, the technology easily handles routine driving. The car was a Lexus RX 450h, a gas-electric hybrid crossover vehicle - with special modifications, of course. There's a front-mounted radar sensor for collision avoidance. And more conspicuously, a revolving cylinder perched above the car's roof that's loaded with lasers, cameras, sensors and other detection and guidance gear. The cylinder is affixed with ugly metal struts, signaling that stylistic grace, like the business plan, has yet to emerge. But function precedes form here, and that rotating cylinder is a reasonable replacement for the human brain (at least some human brains) behind the wheel of a car. During the 25-minute test ride the "driver's seat" was occupied by Brian Torcellini, whose title, oddly, is "Lead Test Driver" for the driverless car project. Before joining Google the 30-year-old Torcellini, who studied at San Diego State University, had hoped to become a "surf journalist." Really. Now he's riding a different kind of wave. He sat behind the test car's steering wheel just in case something went awry and he had to revert to manual control. But that wasn't necessary. Dolgov, in the front passenger's seat, entered the desired destination to a laptop computer that was wired into the car. The car mapped the route and headed off. The only excitement, such as it was, occurred when an oncoming car seemed about to turn left across our path. The driverless car hit the brakes, and the driver of the oncoming car quickly corrected course. I sat in the back seat, not my usual test-driving position, right behind Torcellini. The ride was so smooth and uneventful that, except for seeing his hands, I wouldn't known that the car was completely piloting itself - steering, stopping and starting - lock, stock and dipstick. dangerous, Dolgov says, so its autonomous car can go up to 10 mph (16 kph) above the speed limit when traffic conditions warrant. In addition to the model I tested - and other such adapted versions of conventional cars - Google also has built little bubble-shaped test cars that lack steering wheels, brakes and accelerator pedals. They run on electricity, seat two people and are limited to going 25 mph (40 kph.) In other words, self-driving golf carts. recognize unusual objects and to react properly in abnormal situations remain significant research challenges, says professor J. Christian Gerdes, faculty director of Stanford's REVS Institute for Automotive Research. machines make mistakes, even if they make far fewer mistakes than humans? We can significantly reduce risk, but I don't think we can drive it to zero." That issue, in turn, raises the question of who is liable when a driverless car is involved in a collision - the car's occupants, the auto maker or the software company. Legal issues might be almost as vexing as technical ones, some experts believe. Self-driving cars could appear on roads by the end of this decade, predicted a detailed report on the budding driverless industry issued late last year by investment bank Morgan Stanley. Other experts deem that forecast extremely optimistic. But cars with "semi-autonomous" features, such as collision-avoidance radar that maintains a safe distance from the car ahead, are already on the market. And the potential advantages - improved safety, less traffic congestion and more - are winning converts to the autonomy cause. 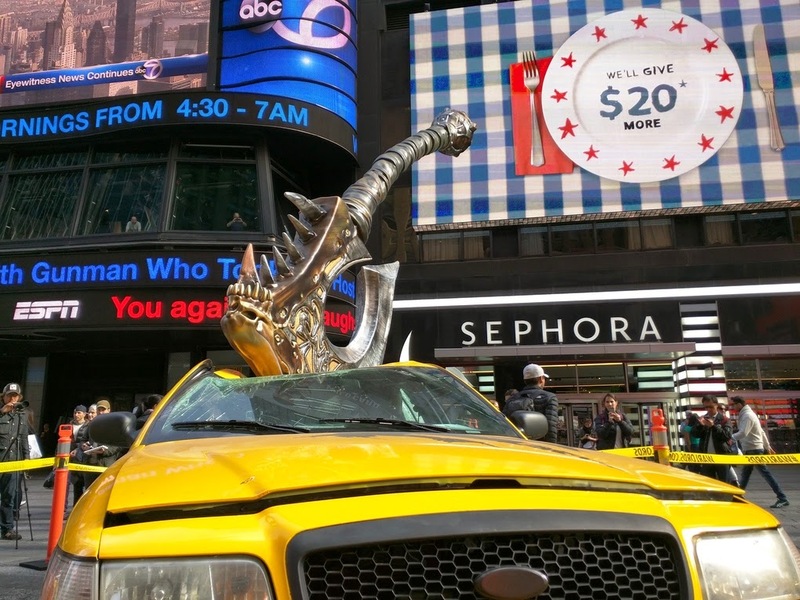 "This is not a toy," declared the Morgan Stanley research report. "The social and economic implications are enormous." Paul Ingrassia, managing editor of Reuters, is the author of three books on automobiles, and has been covering the industry since 1985. The car he drives is ... a red one. If a Self-Driving Car Gets in an Accident, Who Is Liable? 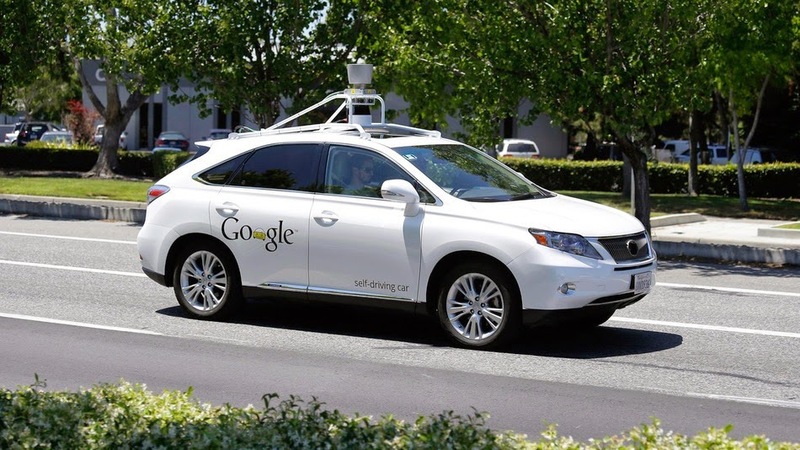 In this photo taken Wednesday, May 14, 2014, a Google self-driving car goes on a test drive near the Computer History Museum in Mountain View, Calif.
On first contact with the idea that robots should be extended legal personhood, it sounds crazy. But the concept of legal personhood is less about what is or is not a flesh-and-blood person and who/what is or is not able to be hauled into court. And if we want to have robots do more things for us, like drive us around or deliver us things, we might need to assign them a role in the law, says lawyer John Frank Weaver, author of the book Robots Are People, Too, in a post at Slate. "If we are dealing with robots like they are real people, the law should recognize that those interactions are like our interactions with real people," Weaver writes. "In some cases, that will require recognizing that the robots are insurable entities like real people or corporations and that a robot’s liability is self-contained." Here's the problem: If we don't define robots as entities with certain legal rights and obligations, we will have a very difficult time using them effectively. And the tool that we have for assigning those things is legal personhood. Right now, companies like Google, which operate self-driving cars, are in a funny place. Let's say Google were to sell a self-driving car to you. And then it got into an accident. Who should be responsible for the damages—you or Google? The algorithm that drives the car, not to mention the sensors and all the control systems, are Google's products. Even the company's own people have argued that tickets should not be given to any occupant of the car, but to Google itself. But in a real world situation, a self-driving car might require particular kinds of maintenance or to be operated only in certain zones. So, it could be that the software was not responsible, but the owner is. Or take this difficult scenario that Weaver presented to me. Say that a robotic car swerves to avoid a deer, but in doing so, it crashes into another car. If the car did what a good human driver would have, should Google (or whichever self-driving car maker) be responsible for damages in this situation? Weaver's argument is that the answer is no. The robot itself should be deemed liable. In his preferred legal world, "the car becomes a separate insurable being that potentially provides a faster insurance payout to victims while protecting the owners from frivolous lawsuits." If this seems absurd, imagine the alternative scenario. If Google were to sell 100,000 cars, should they really be legally responsible for every ticket or accident those vehicles get in? What company would ever take on that level of legal liability? But design consultant Brian Sherwood Jones countered Weaver. He said that the idea that an "'accident' is [a] 'robot's fault' is nonsense." And he contended that if we don't "assign liability to people," there will be "mass evasion of responsibility." What's interesting, though, is that the liability for an autonomous car on the road today already lies with a non-human person in the form of a corporation. Perhaps, Weaver argues, making robots separate legal entities can help us clarify their role in our lives for a situation like this. So, in the case of a self-driving car doing the right thing, but getting in an accident anyway, that car — as a legal person — would carry its own insurance. That is to say, damages would be paid by the legal entity of the car. Another option is that companies like Google might develop business and operational models that allow them to both reduce and take on massive risk by capturing the accompanying rewards. So, instead of selling anyone a self-driving car, Google itself would operate a fleet of ultrasafe vehicles. Certainly the design of the Google car — tiny, light and speed limited — seems to indicate that Google is preparing for a world where no serious accidents can occur on its watch. Or one could argue — and this is beyond my legal expertise — that the example of robot "people" points out that the way our legal system deals with "personhood" is struggling to keep up with the complexity of modern systems, corporate or robotic. Perhaps it's not that we need to extend personhood to robots, but to reform the entire notion of personhood for non-human entities. But as Wendy Kaminer warned on our site, limiting personhood to "natural people" would have a host of unintended consequences. That is to say, pulling personhood back may be impossible, so instead, the most sensible thing may be to keep extending it... to robots. The Robots Are Coming, but Are They Really Taking Our Jobs? Google removed at least two Android apps that simulate Israeli air strikes on Gaza from its Play Store Monday. The apps were pulled after angry users took to Twitter to criticize Google for allowing the apps in its Play Store. 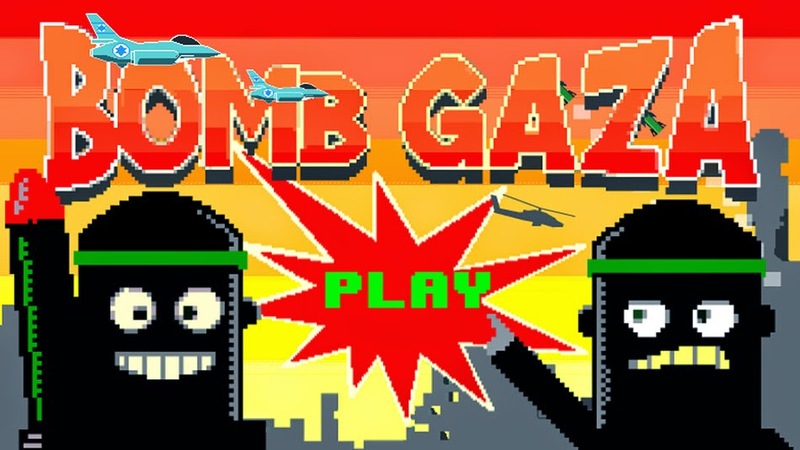 BombGaza, released on July 26, according to App Annie, tasked players with dropping bombs on terrorists while avoiding hitting civilians. The game ends when too many civilians were killed, and the "rage meter" reached its limit. The other game, Gaza Assault: Code Red, first released in Google Play on July 17, according to App Annie, also tasked players with targeting terrorist cells hidden within Gaza— though it made no mention of civilians. Though the games were removed Monday, both were live in the Play Store for more than a week before Google took action— seemingly due to media coverage that sparked complaints on social media. A spokesperson for Google told Mashable the company does not comment on specific apps but said, "We remove apps from Google Play that violate our policies." Mashable confirmed both apps had been pulled late Monday morning PDT. The spokesperson did not elaborate on which policies the apps violated but Google's Developer Program Policies prohibit both violence and bullying and hate speech. The developers for BombGaza and Gaza Assault: Code Red could not immediately be reached for comment. Other games that simulate Israel's Iron Dome and Hamas rockets remain in the Play Store. 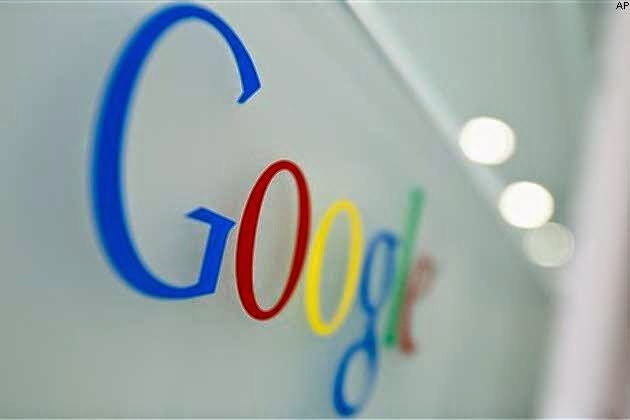 NEW DELHI: World's most popular free email providers Google (gmail) and Yahoo have made telephone numbers mandatory for creation of new email addresses in a bid to check spam. Any person wishing to create a new email ID needs to provide a telephone number which Gmail and Yahoo use for verification. Google India spokesperson claimed giving phone number was optional but repeated attempts to create a new email address on Gmail by skipping the mobile number requirement failed. The Gmail website said that move to seek phone number is to check spam email senders. 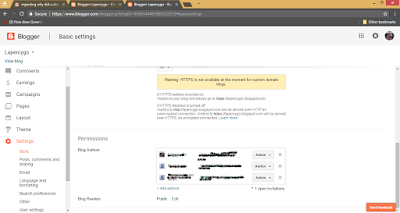 "In an effort to protect our users from abuse, we sometimes ask users to prove they're not a robot before they're able to create or sign in to accounts. Having this additional confirmation via phone is an effective way to keep spammers from abusing our systems," the website said. 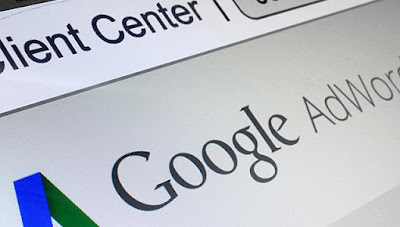 Google has also limited number of accounts that a person using one telephone number can create but the website did not specify the maximum number of email accounts it will allow. While for Gmail a person can give either telephone or mobile number, for a new Yahoo email account it is now mandatory to have a mobile number. "At Yahoo, we are committed to the security of our users. We ask our users to provide their mobile number at registration as a secondary means of authentication, in addition to their password. We would only use the number if we see any unusual activity on the account," Yahoo spokesperson said. Internet Service Providers Association of India said that there is no regulatory requirement for making telephone number mandatory for having an email address and condemned the move as such practice could expose privacy of an individual. "This is an attack on user's privacy. This should not happen. If they (Gmail and Yahoo) are doing such a thing, then this must be recognised by Indian government on how they are collecting phone numbers," ISPAI president Rajesh Chharia said. Internet companies have been advocating at global level that there should be no kind of restriction on use of internet and if there are any regulations on internet, then the cost associated with compliance of those regulations should be such that it should not check proliferation of internet usage. Though number of telecom subscriber is over 90 crore in India, a survey conducted by research firm Juxt in 2013 showed there were only about 55.48 crore people in the country who actually owned a mobile device. Google had not taken permission from SoI before organising a mapping competition in February-March 2013 in which they asked citizens to map their neighbourhoods, especially details related to hospitals and restaurants. NEW DELHI: After registering a preliminary enquiry against Google for alleged mapping of classified areas, CBI has sought help of Survey of India which has alleged that the internet giant continued to "pollute" the web with classified material despite being warned against it. As the probe continues, Surveyor General of India Swarna Subba Rao alleged that the internet giant did not refrain from mentioning classified site even after having been asked not to do so. "During their (Google's) Mapathon 2013 exercise, they collected lot of classified data and we had approached them to refrain from doing so when we came to know about it," Dr Rao told PTI from Dehradun. He said, instead of desisting, Google "polluted the internet" with the coordinates of classified locations on the map. "They (Google) have expressed their desire to meet me at some hotel but I have been firm of a meeting in office," he said. The Survey of India (SoI), the official mapping agency of the country, is the complainant in the case. After initial probe by Delhi Police, the case was handed over to the CBI as the investigation involved a company which is based in the US. Alarmed by Mapathon, SoI, India's national survey and mapping organisation under the department of science and technology, asked the internet giant to share its details and found that there were several coordinates with information on sensitive defence installations which are out of the public domain. The CBI has examined Google-India's legal advisor Geetanjali Duggal and others so far. Asked for its response, Google India said "we continue to be in touch with relevant authorities and take national regulations and security very seriously. "We are cooperating with the CBI's investigations and have submitted a detailed response to the queries that they have sent. We have nothing more to share at this point in time." The CBI registered the PE based on a complaint filed by the Surveyor General of India's office to the Union home ministry, in which it was alleged that Google had been indulging in activities of mapping several areas which were not included in the maps of the country. Highlighting the violations to the home ministry, the SoI said only it was mandated to undertake 'Restricted' category surveying and mapping, and no other government or private organisations or individual are authorised to do so. As per the National Map Policy 2005, "the responsibility for producing, maintaining and disseminating the topographic map database of the whole country, which is the foundation of all spatial data, vests with the Survey of India". 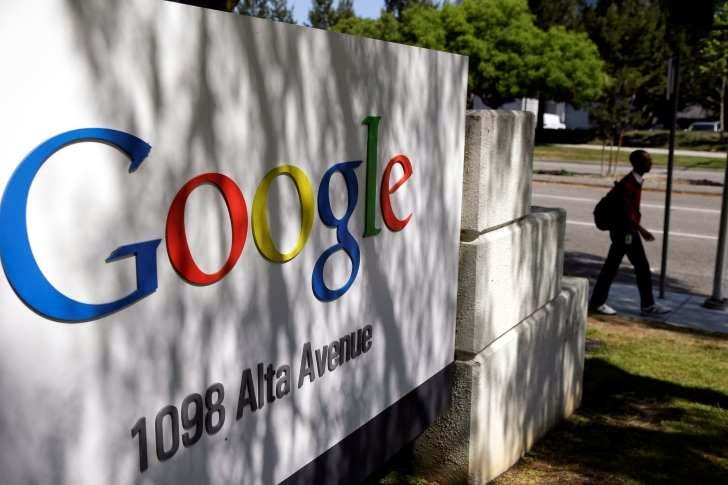 It was alleged that Google India had launched a nationwide contest and people might have passed on maps and other key details of strategic installations located in other cities and states to the US company, the sources added. For SoI, it was clarified that the company never took any permission before undertaking the mapping exercise, and from national security point of view, civil and military vital areas, vital points (VPs) cannot be shown in the map/data published in public domain. A computer user poses in front of a Google search page in this photo illustration taken in Brussels May 30, 2014. Google Inc has agreed to create a $250 million internal program to disrupt rogue online pharmacies as part of a deal to end shareholder litigation over accusations the search company improperly allowed ads from non-U.S. drug sellers. "We’ve been investing very significantly to fight rogue online pharmacies, and have stopped millions of ads from appearing," a Google spokesman said in an email. "This settlement will continue and expand these ongoing efforts to keep users safe online."